The game of the year is here! Celebrate Super Bowl 50 in true Fort Worth style by picking up some fantastic local brews and bites for the ultimate Super Bowl party. 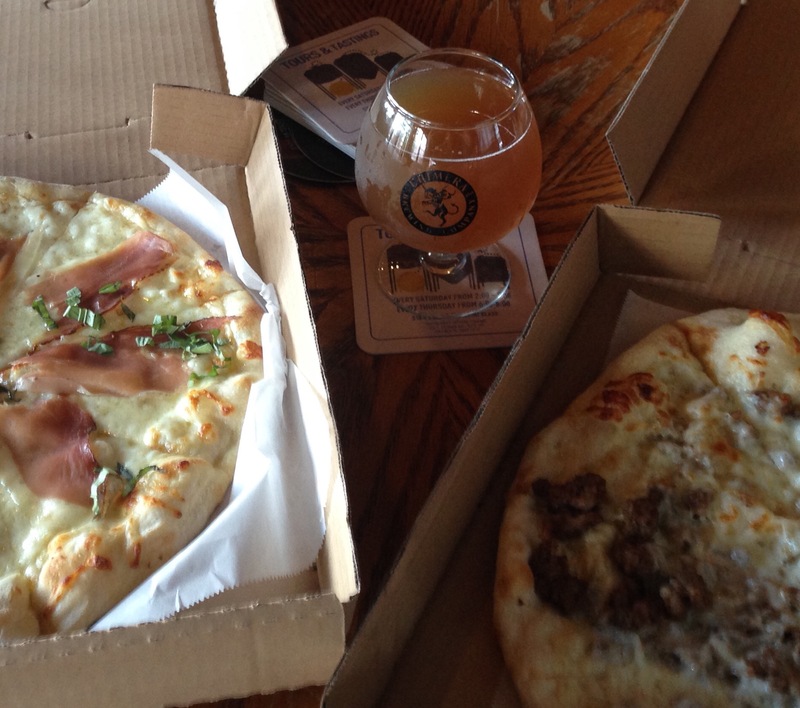 Here are picks from brewery staff with 5 pairing suggestions. 1.) The Collective Brewing Project-Tessa says their Pale Galaxy Session IPA is perfect for tailgating, especially when paired with a spicy taco, such as The Independent from Torchy&apos;s Tacos, with hand-battered and fried Portobello mushroom strips, refried black beans, roasted corn, escabeche (pickled) carrots, queso fresco, cilantro, avocado, and ancho chile aioli on a flour tortilla. Whew! Just the thought of that taco makes me want to grab a cold one! 2.) Chimera Brewing Company - Adam, the Head Unicorn, can&apos;t say enough about their amazing Bianca Pesca, a Belgian Wit beer made with Parker County peaches. It&apos;s fruity, but dry with a clove-like spiciness from the yeast. He suggests pairing it with their Brie and Speck Pizza, an olive oil based pizza with mozzarella, brie, smoked prosciutto (speck) and basil. If grilling is a big part of the game day game plan, he suggests whipping up some bacon-wrapped jalapeno poppers. 3.) Rahr & Sons Brewing Co - Jeff&apos;s pick is a classic combo of beer and chicken wings. 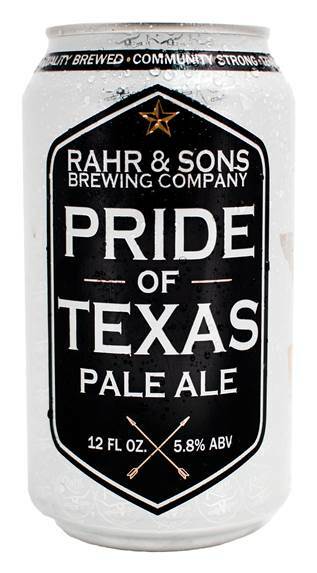 Rahr&apos;s Pride of Texas Pale Ale is delicious served with Trinity River Tap Houses&apos; Lemon Pepper wings. The beer is made with Mandarina Bavaria hops, giving it a distinctive tangerine flavor and is one of just a few Rahr offers in a can, ideal for outdoor gatherings where glass might not be allowed. The lemon flavor of the wings will complement the beer nicely, and the hint of pepperiness will contrast with the bitterness of the hops. 4.) Martin House Brewing Company - David may be a tailgating genius. What do you do for those early games? 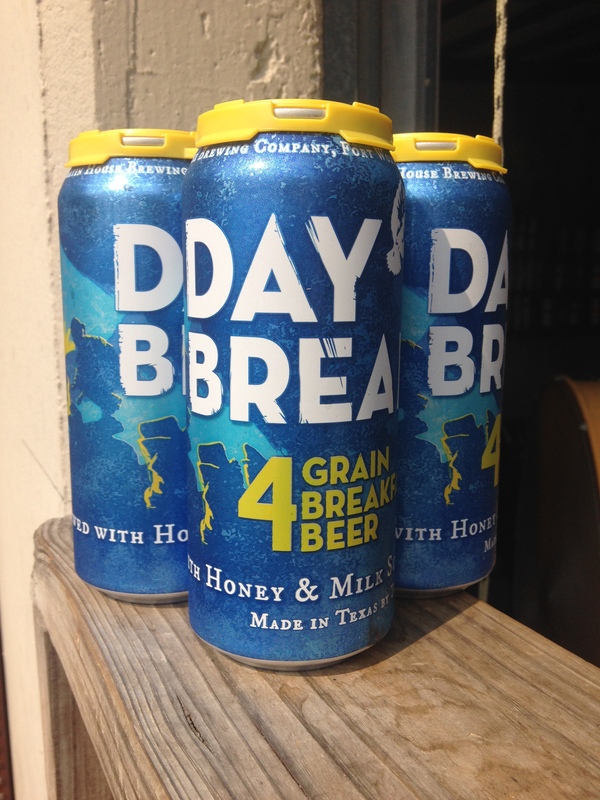 Martin House Day Break, a four-grain breakfast beer! According to David, "it&apos;s the right way to get started in the morning." With barley, wheat, oats, rye, and a finish of local honey and milk sugar, it&apos;s hard to argue with breakfast-cereal-in-a-can. His suggested pairing is, of course, breakfast foods. Go for something hearty like breakfast burritos or tacos, a sausage biscuit, or better still, stop off at Pearl Snap Kolaches for some of their delicious Czech delicacies. 5.) Panther Island Brewing - Krisit isn&apos;t shy about her pick! She thinks you definitely need their IPf&apos;nA a 10% imperial IPA that boasts big beautiful malt bill on top of the bitterness of the 3 different hops. Aromatic floral on the nose with a grapefruit lemon lime zest on the tongue. Slam your jaws around a Fred&apos;s Texas Cafe original burger and some hand cut fries and consider your day complete. Micheline’s love of food started standing on a straight-backed chair helping in the kitchen making nachos with her family. Some of her growing up happened in a rather barn-ish house in rural Southlake. Overshadowed by stalks of sunflowers and sweet corn, she carried fresh picked tomatoes, carrots and other vegetables up to the house in fabric of her skirt, milked the goats, and cuddled the rabbits. When her father returned to active military service, she lost the garden but gained the chance to develop her palate in some of the best culinary cities in the nation: New Orleans, San Francisco and Hawaii. She also spent a year in Vladivostok, Russia before returning home to her beloved Texas to get her degree in Dietetics at TWU. 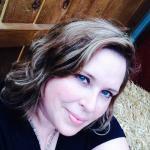 Currently, Micheline oversees the Cooking Matters and Community Garden programs for Tarrant Area Food Bank. She advocates for food justice, sustainable farming, a strong, local food system, and a healthy community by serving with the Tarrant County Food Policy Council and FitWorth. She also provides consultation for businesses and non-profits to build brand awareness, plan events, and develop new products, services and programs. Find her on Twitter, Instagram, and more as @FortWorthCookie.